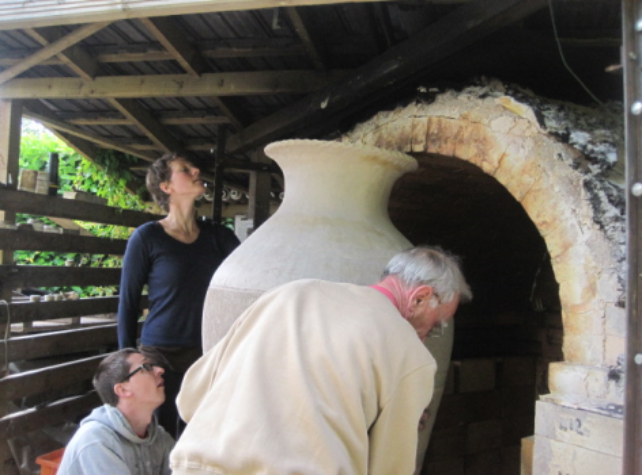 With much help a wood firing kiln has been built to Ray’s design with 50 cu ft capacity (four times that of the gas kiln) burning mostly recycled timber. Once the wood kiln is lit, each firing takes at least twenty-four hours, with stoking required every two minutes at higher temperatures! 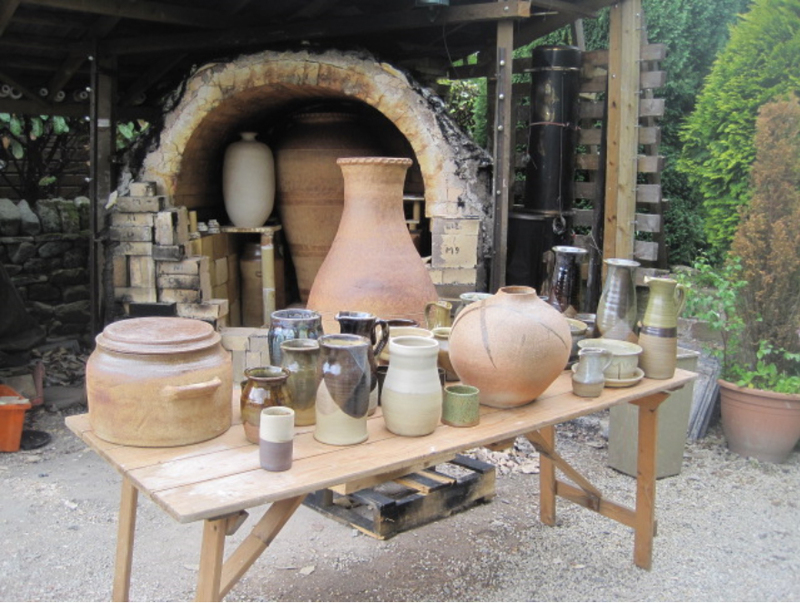 The effect of fly ash on the clay and glazes adds a new level of uncertainty to pottery production. 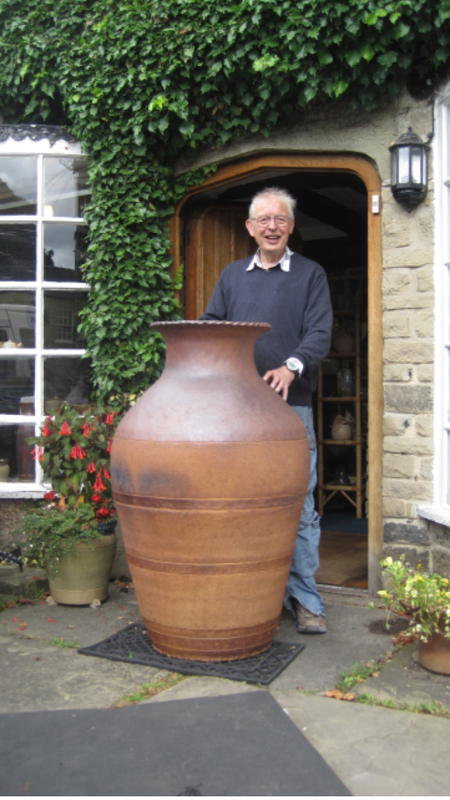 Each piece is distinctively unique, from the smallest jug to the outdoor pots that can be as much as 4ft tall. Click here to see a gallery of pots fired in the kiln.